We all know the saying, “stop and smell the roses,” but, if you have a toddler, you know the saying should be something like, “stop, smell, pull, tear and maybe taste the roses.” Everything in the world is a wonder worth exploring to the fullest, from the bricks on a wall to the pebbles on the sidewalk. When I go walking with my son, I know to give us extra time to reach our destination. A simple trip down the block to the grocery could mean several stops to feel the bark on a tree, say hello to a friendly dog, or chase him when he decides to go off in the opposite direction. As you can imagine, this takes a lot of patience, especially for someone used to moving quickly through life. Before I get too frustrated, I remind myself that there is no need to rush, and we will reach our destination. Of course, there are times when I have appointments to make, and taking a leisurely stroll just isn’t going to work. However, even if I need to move a bit faster, I can still take a moment to breathe and be grateful for the good things in my life. 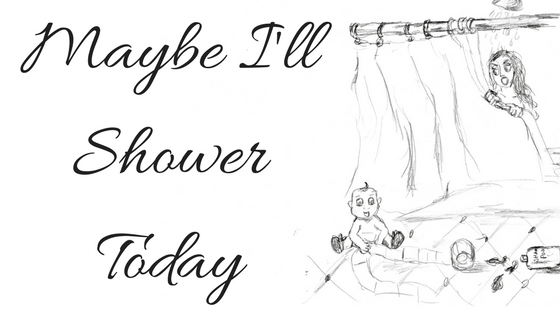 This entry was posted in Inspire, Think on December 16, 2014 by Maybe I'll Shower Today.